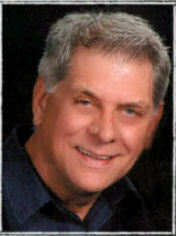 Pastor Ken L. Birks is Available For Speaking Engagements at your Church or Group. If you are looking for an interim pastor, this is a position he could be interested in. If you enjoy Ken's Online Ministry & would like to have him speak at your church, Click Here for more info. If you enjoy Pastor Ken Birks' online teaching and would like to have him speak at your church, please fill out the form on the next page. Ken is available for Men's Retreats and Seminars as well as speaking during regular weekend services. Ken Birks is an ordained Pastor/Teacher in the Body of Christ and is a pastor and elder at The Rock of Roseville in Roseville, California where he also functions as a Bible teacher. Ken has been a part of The Rock of Roseville since its inception in 1997. Prior to coming to The Rock of Roseville, Ken was the Senior Pastor of Golden Valley Christian Center, a non-denominational, Spirit-filled church in Roseville, California for twelve years. Ken’s primary gift is that of a Bible Teacher with a prophetic slant. He teaches the Word of God with passion and balance with an intense desire to impart a genuine love and appreciation for God’s Word. He is called to teach and preach God’s word in way that helps to shape and influence the minds and hearts of God’s people which produces good Christian character and a desire to fulfill one's destiny and purpose in God. Please fill out the "Initial Interest Form"
Ken’s primary gift is in the area of teaching. He teaches the word of God with passion and balance with a prophetic slant. He has an intense desire to impart a genuine love and appreciation for God’s Word. He is called to teach and preach God’s word in way that helps to shape and influence the minds and hearts of God’s people. His vision and burden is to impart faith through teaching and preaching for the Body of Christ to come into the fulfillment of Ephesians 4:13 – that is for the Body of Christ to come to the unity of faith in the stature and fullness of Christ – and to impart vision for the Body of Christ to rise up and be who God has called her to be. He is currently reaching over 2000 unique visitors a day through this website. Ken’s wife, Lydia, is a dynamic children’s minister who captures their hearts by imparting God’s Word with passion and love. She founded and directs The Rock’s yearly Vacation Bible School, Rock It! Kid’s Summer Blast and considers children’s ministry the delight and joy of her heart! She is also personal assistant to the senior pastor at The Rock of Roseville and serves on the pastoral care team. Ken and Lydia have two adult children, Ben and Keith, and consider them their highest calling, along with the many teens and children whom they have been foster or surrogate parents to over the past 20 years. 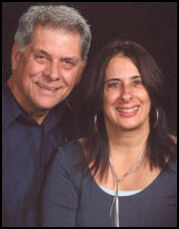 Jim Feeney, Ph.D., Former Sr. Pastor and "Owner and Webmaster at Pentecostal Bible Studies and Free Pentecostal Sermon Central"
"I've known Pastor Ken Birks for several decades. He and I have worked in various ministerial capacities in the same family of churches. Ken is held in very high esteem among our many pastoral colleagues. He is a minister with a strong grasp of the Word of God, a broad variety of administrative skills, a heart for souls, a proven experiential familiarity with the gifts of the Holy Spirit, and an unwavering commitment to the work of the Lord. His wife Lydia is likewise a dedicated servant of God. The two of them have been an exemplary couple in the Lord's work, and I have been honored to know them and see the lasting fruits of their labors since the 1970s." "Ken Birks is an extremely effective teacher of the Scriptures. He combines a healthy respect for the Word with enthusiasm and personal experiences that match what he is teaching. I strongly recommend him as a pastor, teacher and elder. Ken is a man of unimpeachable integrity and his longevity in the Body of Christ as a pastor give credence to the message of hope and encouragement that he brings to all. This is my first time visiting your web site and I can truly say my soul was blessed listening to the message on "Dealing with Strongholds"